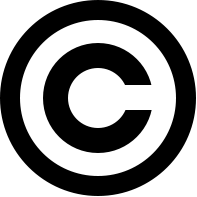 I have recently started thinking about these three things: copyright, scholarly publishing, and the open-access movement. I am at the beginning of a new project dealing with these matters in the field of Canadian history. Since I am just starting out, I have a lot of reading to do, so I have started an online bibliography. If you have any suggestions for further reading, please leave me a comment or send me an email. If you want to hear an excellent recent discussion of some of these issues, tune in to episode 40 of the Digital Campus podcast.